Welcome to the Ohio Land Contract Reference Guide. This site examines how to use a Land Contract (also called a ‘Contract for Deed’) to buy or sell real estate in the State of Ohio. Land Contracts are a way for a Buyer and Seller to create an agreement on the sale of a home without a third party lender. A Land Contract is often used to sell property between family members, or when the Buyer is not bank mortgage eligible due to credit issues or a lack of downpayment. Creating a direct real estate transaction without a bank allows the parties to set their own terms: on the amount of the down-payment, the interest rate, the monthly payment amount, the number of months of the contract term, whether or not there is a ‘balloon’ payment due at the end of a short term, and other financial decisions. Using a Contract for Deed eliminates the need for bank paperwork and many other common bank requirements, like mortgage insurance, closing costs, appraisals, etc. – how and where to file a Land Contract in Ohio after it is signed. 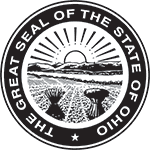 This site also provides information about the requirements set forth by Ohio cities and counties in relation to seller-financed real estate, installment contracts, taxes, insurance and more. Have a Question about an Ohio Land Contract? Not finding the exact information you need? Then go ahead and ask your Ohio Land Contract question! The attorneys and legal professionals who manage this site will answer by email for FREE! The more questions our users ask, the more topics we will cover through new posts and FAQs.